Mumbai: Mahira Khana’s Bollywood debut film, Raees, which has not yet released in Pakistan, is being eagerly awaited by film buffs there, the actress said at a press conference. Along with Shah Rukh Khan, Mahira the film’s leading lady, who couldn’t promote the film due to the ban imposed on Pakistani artists in India, joined in via video call on Friday . “But the kind of response I received has been completely fantastic and I am very grateful,” she added. 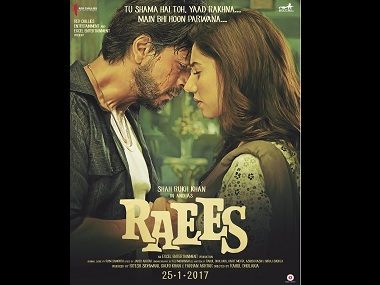 Post release of the film, the Raees team is soon going to release another song of the movie which was edited to make short the length of the running time. 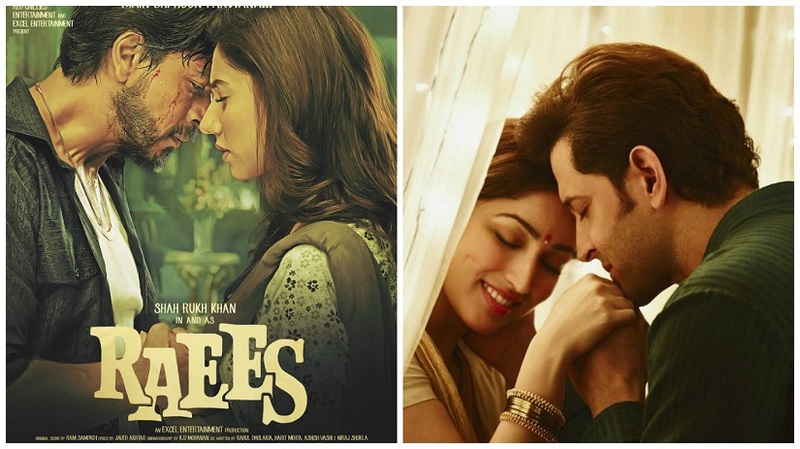 Raees’ release could be postponed as anti-Pakistan sentiment simmers; Kaabil clash averted? 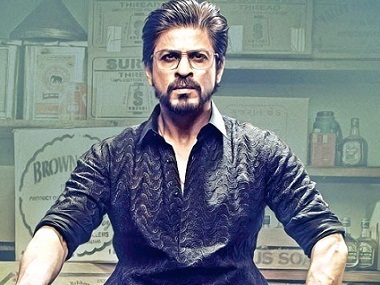 As the sentiment against Pakistani artistes brims over, reports have emerged that the release date for Excel Entertainment’s Shah Rukh Khan-starrer Raees might be pushed back further. Raees was originally meant to release during Eid 2016. However, Salman Khan’s Sultan too was slated to arrive in theatres on the same day, and rather than st up a big box office clash, Excel, SRK and director Rahul Dholakia decided to postpone their film’s release to January 2017. There was just one hitch though — the date they wanted had already been taken by Rakesh Roshan and Hrithik Roshan’s Kaabil. Industry analysts went into a tizzy wondering which of the two films would emerge the victor from this tussle. However, it seems that Raees won’t be clashing with Kaabil after all, if the reports of it being postponed are indeed true. Raees‘ leading lady, the Pakistani actress Mahira Khan, has come under attack from political parties like the Maharashtra Navnirman Sena, which has said that artistes from across the border will not be allowed to live and work on Indian turf. In this scenario — while the Raees release delay is still speculative and not confirmed — Excel and SRK may have decided that pushing their film until such time as bilateral tensions ease is the best possible policy. This week, the MNS staged protests outside filmmaker Karan Johar’s office, demanding the ouster of Fawad Khan from his upcoming film Ae Dil Hai Mushkil. ADHM, which stars Ranbir Kapoor, Anushka Sharma and Aishwarya Rai Bachchan and has a cameo by Fawad, is scheduled to release on 28 October. On Friday, 30 September, the Indian Motion Pictures Producers’ Association announced a ban on all Pakistani artistes and technicians from working in India. However, they said ongoing projects were exempt from the ban, including ADHM and Raees. The crash of 2015 won’t avert the clash of 2016. It seems Shah Rukh Khan has learnt no lessons from his demoniacal debacle last Christmas when he chose to release Dilwale with Sanjay Leela Bhansali’s Bajirao Mastani against all advice, including the Dilwale director Rohit Shetty’s apparent imploration against the head-on collision. You’d think a wise man and a super entrepreneur like Shah Rukh Khan would have learnt his lesson. No such luck. Despite reports to the contrary SRK will go ahead with another boxoffice clash in 2016. This time he takes on an even more formidable adversary. Meanwhile, Salman Khan’s makeover as at wrestler in Sultan already has the Salmaniacs drooling in anticipation. And the date is Eid, which is Salman’s slot when the entire Muslim and Hindu population of India heads to the theatres to watch a his film. Into this insulated paradisaical passage that joins Salman to his fans, enters the other Khan superstar with a film that takes him away from his lover-boy image. I wonder what undisclosed reckless impulses has prompted Shah Rukh to take on Salman on the latter’s home territory! Could it be that stubborn defiant streak that we saw in him when he was told to apologize for his comments on Tolerant/Intolerant India? Shah Rukh never turns back even when the road ahead is strewn with broken glass. Why Eid for Raees? Diwali is when audiences welcome Shah Rukh Khan with open arms and emptied-out pockets. Give them anything for Diwali, and his fans will lap it up. But during Eid they look for Bhai on the silver screen as the moon peeps out of the clouds. It’s like offering gujiyas for Eid and saiwaiyyan for Diwali. The palate is incongruous. It most certainly seems like a battle of unequals. So what makes Shah Rukh Khan so sure he can pull this off? Could ‘King’ Khan be over-estimating his own power at the box-office and underestimating Salman’s hold over the Eid slot? Or is Shah Rukh just cockily confident of his own space in spite of the underperformance of Dilwale last Christmas? The last time and only time that Shah Rukh Khan took on Salman at the box-office was in 2006 when on October 20 Shah Rukh’s Don released alongside Salman’s Jann-e-Mann. Jaan-e-Mann bombed, and Don was a blockbuster. To this day Salman jokes how he urged his fans to watch his colleague’s Don, and they took him too seriously. 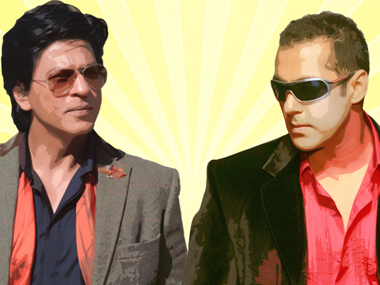 It would be interesting to see if the two Khan superstars promote one another’s films this Eid. Or would they drop their lately-assumed postures of bonhomie and get cut-throat in their competitiveness? This year’s Eid looks severely aggressive. May the best Khan win.